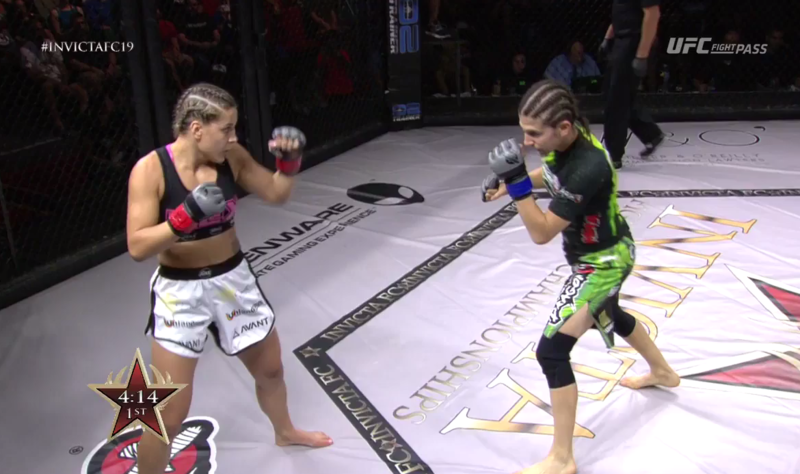 Relive some of the greatest bouts in Invicta history! 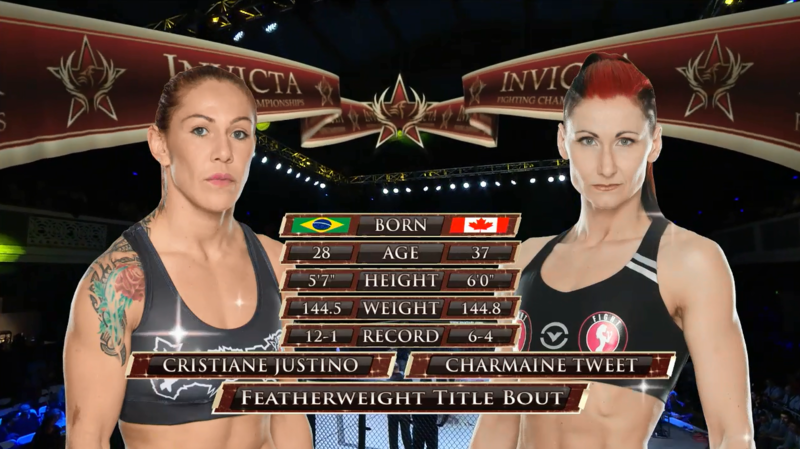 Sara McMann vs. Shayna Baszler Invicta FC 2 Jul 28, 2012 (30:39) Olympic wrestling silver medalist Sara McMann took on her stiffest competition to date in the form of the vastly experienced submission specialist Shayna Baszler in the main event of Invicta 2. 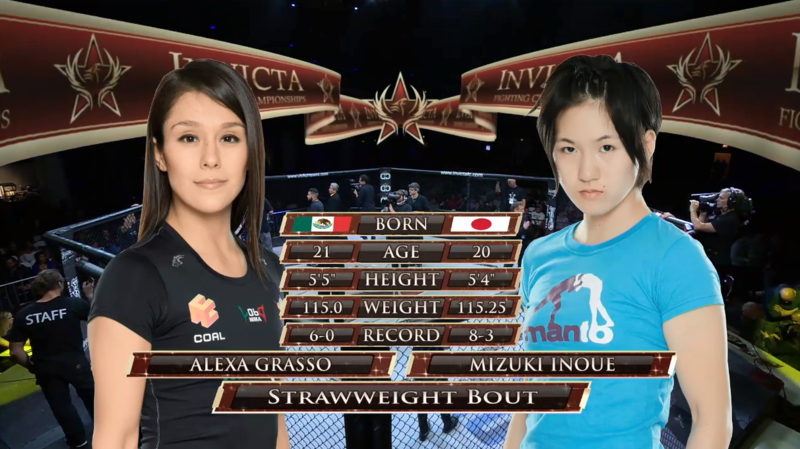 Jessica Penne vs. Naho Sugiyama Invicta FC 3 Oct 6, 2012 (18:13) The first Invicta championship belt was on the line as Huntington Beach bad girl Jessica Penne collided with Japan’s Naho Sugiyama for the inaugural atomweight championship at Invicta 3. 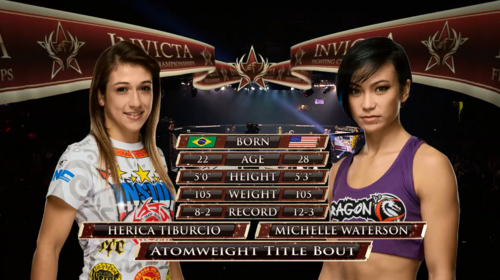 Herica Tiburcio vs Michelle Waterson Invicta FC 10 Dec 5, 2014 (26:02) Herica Tiburcio vs Michelle Waterson Invicta FC 10 from December 5, 2014 in Houston, Texas. 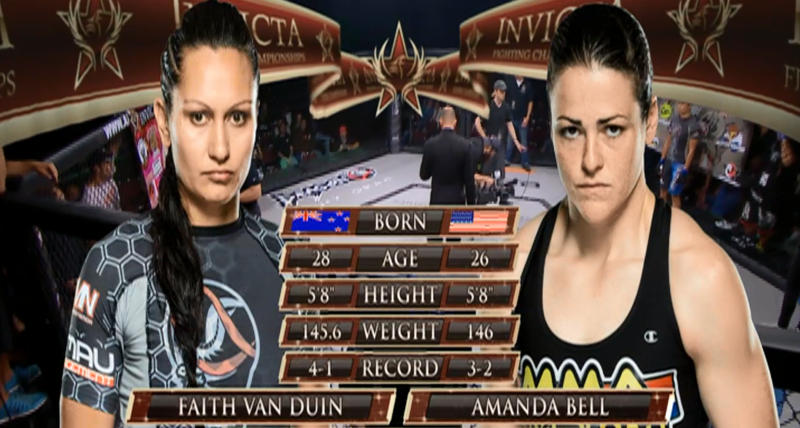 Faith Van Duin vs Amanda Bell Invicta FC 12 Apr 24, 2015 (14:49) Faith Van Duin vs Amanda Bell Invicta FC 12 from April 24, 2015 in Kansas City, Missouri. 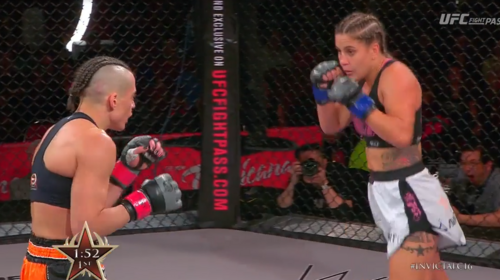 Andrea Lee vs Rachael Ostovich Invicta FC 14 Sep 12, 2015 (27:53) Andrea Lee vs Rachael Ostovich Invicta FC 14 from September 12, 2015 in Kansas City, Missouri. 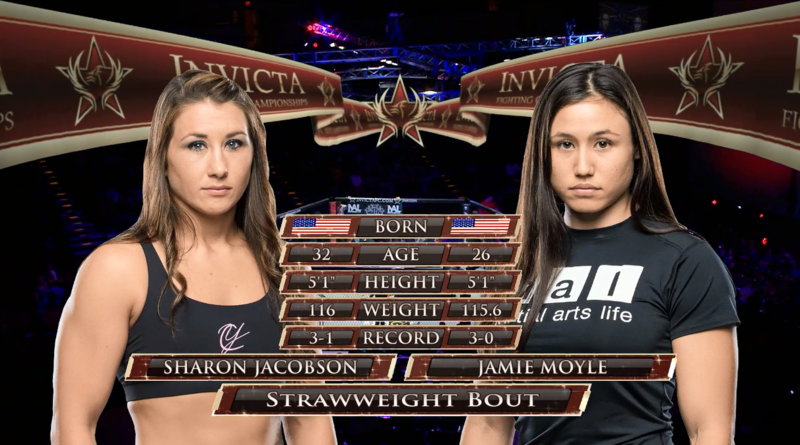 Sharon Jacobson vs Jamie Moyle Invicta FC 14 Sep 12, 2015 (25:28) Sharon Jacobson vs Jamie Moyle Invicta FC 14 from September 12, 2015 in Kansas City, Missouri. 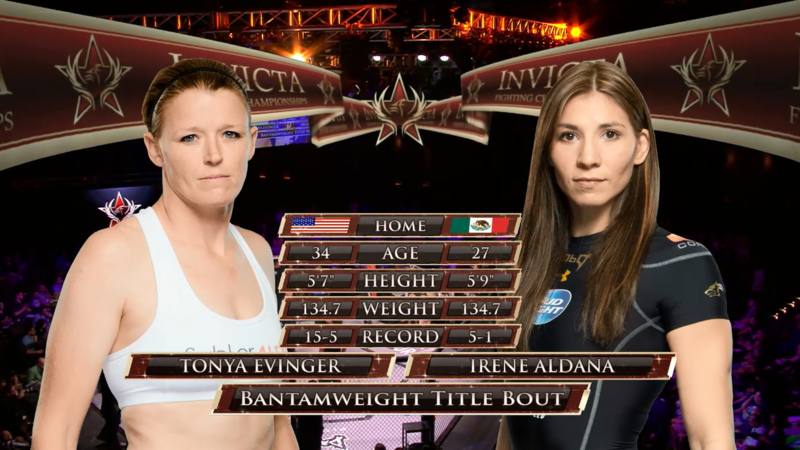 Jennifer Maia vs Vanessa Porto Invicta FC 16 Mar 11, 2016 (44:59) Jennifer Maia vs Vanessa Porto Invicta FC 16 from March 11, 2016 in Las Vegas, Nevada. 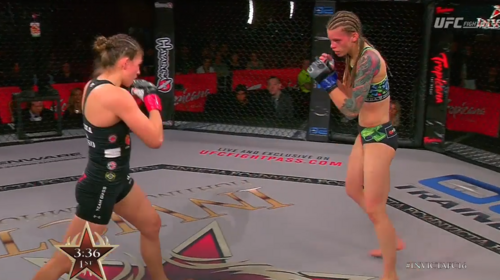 Irene Aldana vs Jessamyn Duke Invicta FC 16 Mar 11, 2016 (15:14) Irene Aldana vs Jessamyn Duke Invicta FC 16 from March 11, 2016 in Las Vegas, Nevada. 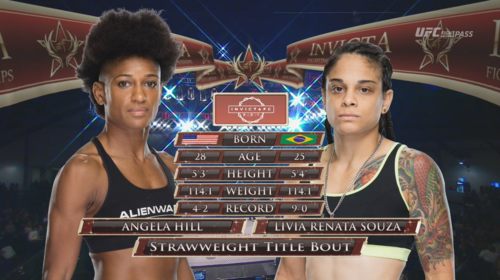 Angela Hill vs Livia Renata Souza Invicta FC 17 May 7, 2016 (44:57) Angela Hill vs Livia Renata Souza Invicta FC 17 from The Hangar at OC Fair in Costa Mesa, California on May 7, 2016. 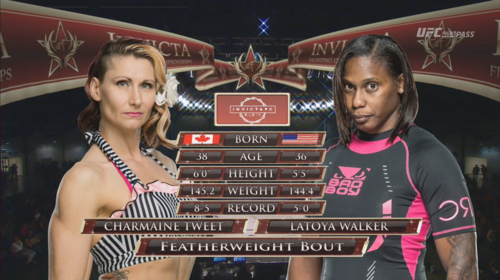 Charmaine Tweet vs Latoya Walker Invicta FC 17 May 7, 2016 (14:45) Charmaine Tweet vs Latoya Walker Invicta FC 17 from The Hangar at OC Fair in Costa Mesa, California on May 7, 2016. 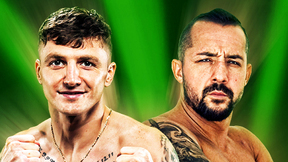 Jennifer Maia vs Roxanne Modafferi Invicta FC 19 Sep 23, 2016 (43:15) Jennifer Maia vs Roxanne Modafferi at Invicta FC 19 from September 23, 2016 in Kansas City, Missouri, USA. 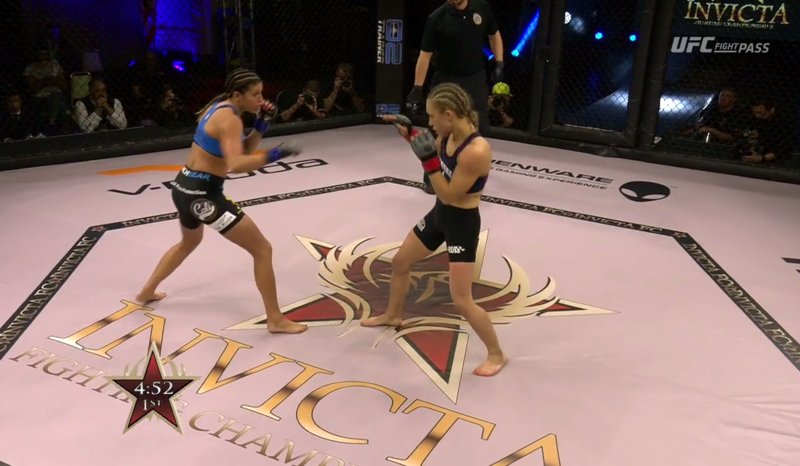 Ashley Yoder vs Amber Brown Invicta FC 20 Nov 18, 2016 (18:59) Ashley Yoder vs Amber Brown at Invicta FC 20 from November 18, 2016 in Missouri, USA.